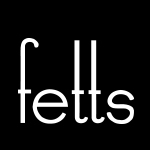 Established in 1980, FETTS is a highly regarded fashion store showcasing contemporary womenswear matched to our easy going Australian lifestyle. Nestled in leafy Wahroonga Village shopping centre FETTS is an essential shopping destination for discerning women seeking style, quality and effortless chic. Shop the "Last of the Best"